Because of You, I Am is an exploration into the nature of the spiritual world. 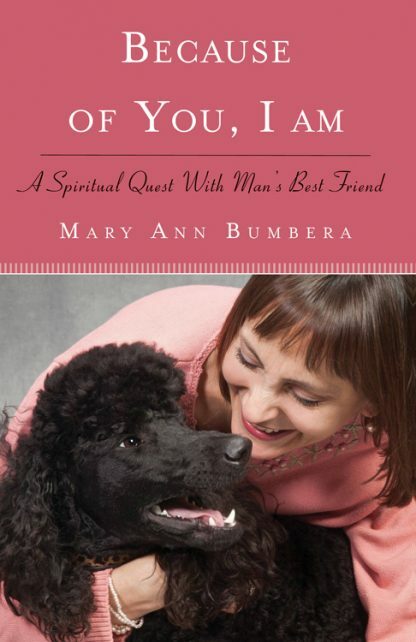 With courage, insight and humor, Mary Ann Bumbera reveals a deeper unseen reality that we are all part of but rarely consider. Faced with the illness of her dog, Charlie, Mary Ann races to understand the nature of death. Is death really the end? Is this all there is? Do we have a spirit? Over time while Charlie's illness worsens, Mary Ann discovers that there is far more to our existence than just the physical body, whether animal or human. She shares and celebrates her discoveries with readers; affirming that death is not the end for any being. Stepping into unfamiliar territory, Mary Ann ventures into the ancient practice of Shamanism, energy healing and animal communication, which deepens her relationship with Charlie. She swims with humpback whales and dolphins, and experiences a profound connection. Through her search she utterly transforms her understanding of Charlie, herself, and the nature of reality, including both death and life. She concludes nature in all its forms has a spirit or consciousness that is intelligent, benevolent and loving, and that is not extinguished following the death of the physical body. The ideas in Because of You, I Am will linger long after you finish it. You will come away with a deeper connection to your spiritual self, to others in your life, and to animals, whether they are beloved pets or those found in nature. And you will have a better understanding of the mysterious power of love that transcends death.